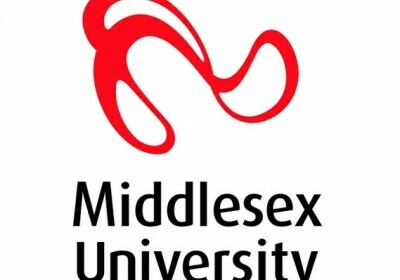 In this week’s Blog I asked Corina Murray to write a summary of the presentations at the 7th Annual Strength & Conditioning Student Conference, Middlesex University. I hope you enjoy! My name is Corina Murray, I am currently a student studying Sports therapy at the University of Hertfordshire. 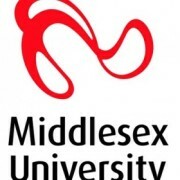 I have just completed my second year and am now on a placement year to gain experience ready to go back into my third year. I have been working with APA at Gosling since September and am here until the end of June. I am really interested in Strength and conditioning so this placement has been really good for me and given me an insight into tennis. Strength and conditioning conference – my blog! 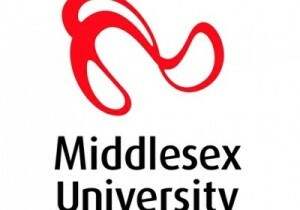 On Saturday 5th of march I attended the 7th annual strength and conditioning student conference at Middlesex university. I haven’t been to a big conference like this before so didn’t know what to expect but found it all very interesting and learnt a lot. There were 4 speakers, Ed Baker, James Wild, Mark Russel and Eamonn Flanagan. The first speaker was Ed Baker who spoke about Planning, programming and training of elite wheelchair rugby athletes and the road to Rio. This was probably my favourite talk as I learnt so much that I never knew before.Wheelchair rugby players can roughly produce 1000w peak power at 5.9 m/s. This is due to the high intensity training they have day to day. To test things such as acceleration, they use court sprints, as well as testing power to weight ratio and technique and flexibility. However, all of this testing requires a lot of skill due to the lack of function in parts of the body. t is also important to do a lot of resisted work such as sprints pushing weight, uphill sprints and interval training. 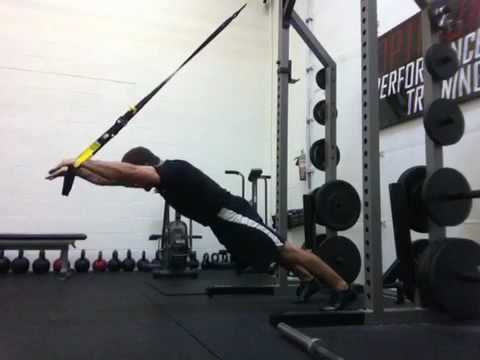 To gain upper body strength it is important to do exercises like pull ups and chest press etc. but how? Velcro straps have been used with many wheelchair athletes to strap their hands to the bar in a grip position. They can then strengthen the arm and upper body muscles effectively. -Technical practice, and strength training. The final block is the Peaking block which involves lactate capacity intervals. Overall this talk was extremely informative as I learnt things about training with wheelchair athletes that I probably wouldn’t have thought about before. The second talk was by James Wild on sprint acceleration techniques of team sport and sprint athletes and how useful is a technical model? So are these theories true? 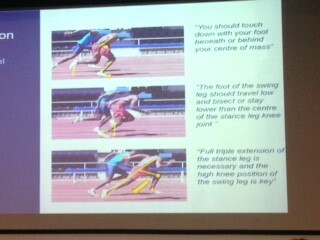 The first question asked was should you touch down with your foot behind or beneath your centre of mass? With every athlete it completely depends on the sport and how quickly they need to accelerate. However, in a sprint your foot will get further in front with every step you take but to start it is more natural for the foot to be behind the centre of mass. 18cm is the common distance from the foot to the centre of mass with the first touchdown but this distance will decrease with every step. Rugby players tend to start with the foot closer as they are in more of an upright position as they need to keep their peripheral vision and generally start the sprint from a rolling start. But, which is best? It has been found that placing the foot further back gives more of a drive and acceleration whereas placing it under the centre of mass or in front produces more of a breaking mechanism so therefore slows the athlete. Does musculoskeletal structure affect how athletes sprint? Bezodis et al (2015) found that the less dorsiflexion of the ankle there is then the more horizontal external power there will be. Should athletes achieve full triple extension at toe off? No – there are almost no athletes that get full triple extension when starting. If an athlete triple extends then it is potentially slowing them down as the time to recover from that step and go into the next is a lot longer, it also places a lot of force on the ligaments and tendons surrounding the joint as they would have to work a lot faster. It is rare in team sports to get triple extension anyway as they are not running as fast as sprinters would so therefore not producing enough force. Most athletes in team sports start from a rolling start anyway. 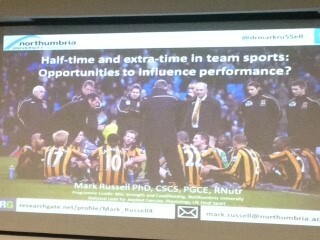 The third talk was by Dr Mark Russel who spoke about Half-time and extra-time in team sports: opportunity to influence performance? Half time and extra time are important times for the athlete, half-time gives them a chance to rest, talk about the performance, hydrate and regain some energy. It is also important that their body temperature does not drop too much as this could cause injury in the second half. To ensure their temperature stays roughly the same they should perform another 3-4-minute warm up. However, there can be many barriers to re-warm up such as lack of time and unwillingness from the players and coaches as they will want to recover and have a team talk. If the warm up is not going to be done, then passive heat maintenance should be carried out in the form of extra clothing or foil blankets which will help keep heat in. Even if the re-warm up is completed, a passive heat maintenance strategy has been found to improve lower body power output and repeated sprint ability in professional rugby union players so would most likely be beneficial to all athletes that get half time. Before a game begins and also at half time, a 6-10% carbohydrate drink should be consumed so that energy levels do not drop too quickly throughout the game. This will also help players going into extra time as there are generally many reductions in performance in the last 30 of 120 minutes due to fatigue. Keeping warm, hydrated, motivated and keeping energy levels high will all help to improve performance in the second half and extra time. The final talk was on Recent trends and future directions in velocity based strength training which was taken by Eamonn Flanagan. I found out that velocity based training is the use of a velocity measuring device to provide feedback during strength training to optimise the strength training process however is not an alternative to strength training. 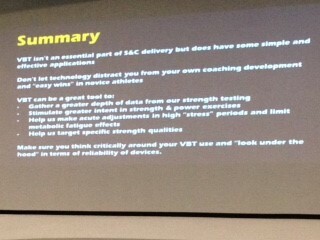 It is not an essential part of S&C delivery but does have some simple and effective applications. It is becoming a lot more popular due to it being more recognised and the technology becoming cheaper and accessible. Before starting any kind of velocity training it is important that the athletes have got plenty of stability and have experienced different types of weight training in the past. Without the knowledge of strength training and their own abilities the athletes should not take part until the coach agrees it is ok.
Technology is important for velocity training however it can become a distraction in the weight room. It is ok to use when completing testing however when you are in the middle of coaching your athletes, leave the technology behind as it can distract the athletes and also yourself which can lead to mistakes. Should we be doing core stability training? Should we be doing core stability? It’s a good question. But before we can answer that question we need to first ask, ”what exactly is core stability?” Do a web search for core stability and you get 13,000,000 results. Search for a definition on Wikipedia and you get, ”Core stability relates to the bodily region bounded by the abdominal wall, the pelvis, the lower back and the diaphragm , spinal extensor muscle and its ability to stabilise the body during movement. The main muscles involved include the transversus abdominis, the internal and external obliques, the quadratus lumborum and the diaphragm, erector spinae and multifidus lumbar. It is the action of these muscles contracting together upon the incompressible contents of the abdominal cavity (i.e. the internal organs or visera) that provides support to the spine and pelvis during movement. What might you see on the Internet? Type in core stability in Youtube and you’ll see thousands of various sequences posted by Personal trainers and S&C coaches. I too have done it, but I’m now looking to be more targeted with my prescriptions to my clients. Not all clients need and will benefit from being given the same exercise prescription. I have always known about the progressions from stable to unstable and unloaded to loaded and static to dynamic etc but today I have developed my thinking further and I am better able to see how I can develop the base of the pyramid by integrating the Biomechanics Education Model into the Suppleness section of the APA Training System. Traditionally we focus on the role of rectus abdominus as a spinal flexor. But actually its main purpose is to create tension to stabilise the spine when performing tasks that require spinal stabilisation. This is due to the fact that the Tranversus Abdominus (TA) inserts into the Rectus Abdominus. I’ve been involved in the health & fitness industry since 1998. Prior to the latest buzz of anti-extension exercises when I was first involved in it core stability was all about hollowing. I even bought a pressure biofeedback unit so I could see if the client was doing it well. The rational was that TA and Multifidus were most active during hollowing- the muscles once considered as the most important muscles in the core. But as we discussed today with Rachel at Biomechanics Education, if only one group or muscle of the full range of stability muscles is not functioning correctly, then the trunk is unstable. (Chollwewicki and McGill, 1996, O’Sullivan et al, 1997, 1998, Allison et al, 1998). During daily life, 10-25% of Maximum Voluntary Contraction (MVC) is often enough to stabilise the spine. In the exercises which we discussed for core stability we might start at that level of contraction but the effort could go up as we progress through the exercises. What about holding your breath? Something I learnt today is that it is generally advisable to practice both holding your breath AND not holding your breath in training during core stability exercises. I had always been taught- I say taught- I mean informed through the videos I had seen- that you are only effective at stabilising your core if you can maintain the bracing without holding your breath, so it was refreshing to hear you can practice both. And what’s more it is entirely appropriate to hold your breath when training at higher intensities (Cholewicki, 1996). Sit ups and crunches- here’s the thing. everyone- even the man off the street who has never set foot in a gym will be able to tell you that the best way to get a six pack is to do crunches- right? In the 1980s all everyone was doing was crunches- in the 1990s and early 2000s it was hollowing- mid 2000s it has been anti-extension exercises. This loss in interest in crunches and sit ups- at least in the sports conditioning community- was in part influenced by research from McGill and the like who demonstrated that the compressive loads on the spine during crunches (~3500N) exceeded its safe amount of load of around 2400N. I personally feel that there is always going to be a risk:reward equation to factor in when making any decision on the most appropriate exercise prescription. But when someone is playing sport or has a physical job that DEMANDS these type of compressive forces then you have to be conditioned for them. Am I saying do 300 crunches every night to get a six pack?? Of course not- besides that alone wouldn’t achieve that goal it even if it didn’t put a lot of compressive force on the spine. But that’s for another blog. But I am saying that if you play sport you might want to consider adding them in to your programme at some point because spinal flexion, side flexion, extension and rotation all happen in sport. So going back to the question I asked at the beginning, should we be doing core stability? Here’s the case for Yes…. There is clearly quite a strong theoretical basis for doing core training. It is commonly believed that core stability is essential for the maintenance of an upright posture and especially for movements and lifts that require extra effort such as lifting a heavy weight from the ground to a table. Without core stability the lower back is not supported from inside and can be injured by strain caused by the exercise. It is also believed that insufficient core stability can result in lower back pain and lower limb injuries. Equally core is often inhibited in cases of Lower back pain (LBP). Whether the core weakness caused the LBP or the LBP caused the core weakness is another story!!!! There is little support in research for the core stability model and many of the benefits attributed to this method of exercise have not been demonstrated. At best core stability training has the same benefits as general, non-specific exercise. Lederman, E. The myth of core stability. Journal of Bodywork and Movement Therapies. 2009. But overall my answer is Yes and here is my reason Why. If just doing ‘Indirect’ core work such as Deadlifts, Squats, Pull ups, press ups etc (which clearly place high demands on the core) was enough then I wouldn’t have some of the issues I have been managing for the last 15 years. You see I have been managing some low grade discomfort (not LBP) which has caused muscle spasms in my QL, adductors, hip flexors etc over the years. I have concluded I have a rotated pelvis which happened after a over zeolous squat in the smith machine when I was 20. That caused a functional leg length difference and ever since it created some ‘issues’ both above and below my pelvis. So when I do core work there are usually some form of compensations at work. This has lead to imbalances and as a result if I just did indirect core work I’d be still compensating. Only by determining where the imbalances are and working on them with DIRECT core work can I begin to return my body to normal function. I’m not going to give all the good stuff away. Rachel wouldn’t be happy but I will say this much. The Biomechanics Education system develops core through three layers. So you can see that there are clearly some imbalances. I didn’t meet the target for spinal extension of 162-seconds, but even more noticable is how far below my time is for spinal flexion. So clearly I CAN make a case for doing more spinal flexion work in my specific case and also a little more emphasis on the Right side bridge (side plank). For more information head over to Biomechanics Education. P.s here’s the latest boxing circuit I did this week. Absolutely brutal. About 30-40 minutes all together. 25 Medball slams with 4kg Medicine ball. This circuit was repeated 3 times with 1-minute rest between circuits. Circuit 2 was shadow punches but they were crosses and Circuit 3 was uppercuts. After 1-minute rest repeat. Round 2 was 20 reps. Round 3 was 10 reps.
Well that’s enough talk from me for one day! Enjoy your training. http://athleticperformanceacademy.co.uk/wp-content/uploads/2016/03/Fancy-ab-wheel-roll-outs.jpg 443 664 dazdrake http://athleticperformanceacademy.co.uk/wp-content/uploads/2015/05/APA-Logo1-300x156.jpg dazdrake2016-03-04 23:16:302018-05-27 20:12:49Should we be doing core stability training?